HBO's newest drama has only aired two episodes so far, but dedicated TV fans know that it's never too early to start crafting theories about Westworld and try to solve some of its growing mysteries. Though we've only recently been introduced to its world, the show is imbued with so much detail and mystery that it's impossible not to already question what's really going on at this futuristic western theme park. With so many unanswered questions and a ton of active fans online, there are countless theories going around — and some of them are just crazy enough to come true. We don't know much about Westworld or how it works, but fans have been more than ready to fill in the blanks. What we do know is that the park is populated by both human guests and robot hosts, who at first glance are indistinguishable from each other. It seems that the only true way to tell the difference between them (unless you work behind the scenes of the park) is to shoot at them, since human guests cannot be hurt in Westworld. We also know that there's a mysterious Man In Black roaming around searching for a "deeper meaning" to the park, which he views as a game. Those two facts may not seem like much, but they're the keys to some of Westworld's wildest fan theories. "1) Bernard has secret conversations with Dolores and perhaps leads her to a gun (real or not). He kind of also blocks his department's investigation by saying Dolores doesn't need to be rechecked and "everything is fine." 2) Ford telling Bernard - "I know how that head of yours works," which would make sense if Ford created Bernard. 3) During the sleeping scene: Bernard tells her that the hosts need to practice talking to become more human. After, Cullen says to Bernard - 'Is that what you're doing now? Practicing?'" This may not be conclusive proof, but there are a lot of coincidences that all point toward Bernard being a host. Don't expect Westworld to show its hand any time soon, but keep an eye out for Bernard's behavior, especially when he interacts with Dr. Ford. Ford seems to have much bigger plans up his sleeve than simply a theme park. When brought in to consult a new, violence-fueled narrative for Westworld, he casts it aside and insists that people don't come to the park for such extravagant desires. Instead, he talks about the "subtleties" of the hosts. Although Westworld is meant to be a getaway, perhaps Ford's true goal is the develop legitimate artificial intelligence that could surpass humanity. Dolores beginning to glitch and act out may even be the first part of a much larger plan. In Episode 2, there's a scene that doesn't seem to serve much purpose other than to establish that there's some half-buried church steeple somewhere in Westworld that holds significance to its creator. As he looks over the steeple and all of Westworld, Ford speaks to a young boy who has similar familial issues and the same accent as Ford. While this may just be a coincidence, Reddit user phil0sophy believes that this child was actually a host "modeled after" Ford himself as a kid. This means that other hosts could be based on real people — or is it possible that they're starting to use real people's DNA to create hosts and this boy was a test? The Man In Black Was Involved In The "Critical Failure"
The biggest question surrounding Westworld is currently: who is the Man in Black? He seems to exist in his own world, doing whatever he wants on his quest to solve some kind of special maze that he believes holds the secrets to Westworld. While he goes on rampages, the supervisors seem to turn a blind eye, saying, "that guest can do whatever he wants." What makes the Man in Black so special? The fact that the phrase "30 years" shows up twice in the Westworld pilot may have something to do with it. We first hear it when the Man in Black talks about how long he's known Dolores, and then when some of the engineers are talking about the last time Westworld suffered a "critical failure." There's no such thing as a coincidence in Westworld, so there's a good chance that the Man in Black is allowed to do whatever he pleases as a direct result of whatever happened during that critical failure, which is at the center of many theories. 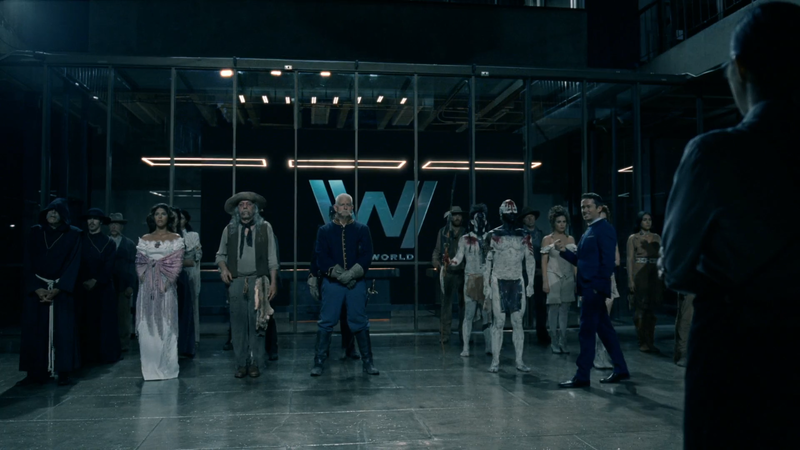 "William's first arrival in Westworld shown at the beginning of episode 2 looks like it happens at a different time than the "present day" Westworld shown in the scene where Sizemore proposes the "Odyssey on Red River" story line. 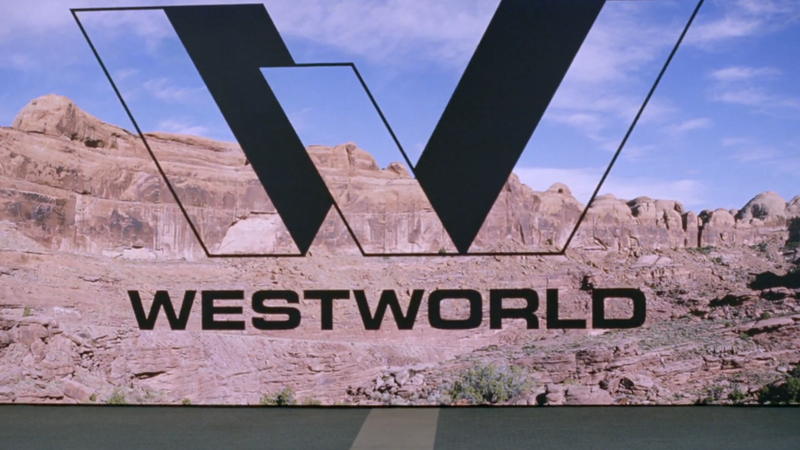 The Westworld logo during William's arrival is different than the one shown in the Sizemore scene . IMHO, the one during William's arrival looks 70's-esque, while the Sizemore one looks Apple-like/sleekishly new." Whether all or none of these end up being true, fans of Westworld clearly have their work cut out for them when it comes to following the narrative trickery and high-minded sci-fi elements of the series. Nothing is spelled out for us, so even if they never happen, theories like these at least make everything a little easier to see.